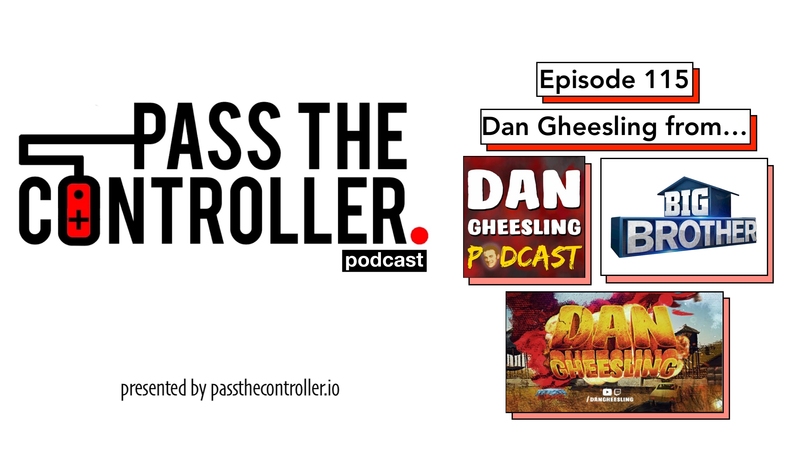 The Pass The Controller Podcast is a show where a couple of best friends comment on the latest in gaming and nerd culture. In this special guest episode, Brenden and Jen sit down and chat with Dan Gheesling– Big Brother legend (S10, S14) and content creator extraordinaire with The Dan Gheesling Show, Twitch streams, original YouTube content, and podcast. We chat with Dan about Big Brother, gaming, streaming, Kanye West, fast food, and much more in this extra special guest episode.